Last Friday was Jason’s 40th birthday. He has been rather grumpy about turning 40 and said that he didn’t want any fuss made….yah, sure….the king of the cocktail party…I didn’t believe him! So, Laurel and I started scheming. And am I ever thankful to have a partner in crime!! Laurel posted a few pics yesterday (see here)…she was busy taking photos that afternoon after set up and into the evening! When we were planning the shin dig, I wanted to come up with a theme to carry throughout. A slogan or an icon…or both! The overall aesthetic was a take on The Parker Palm Springs in our greenhouse. We were going for the cool and eclectic feel of the mid-century modern hotel with glam touches and cheekiness of the 70’s added in! And I needed something that really reflected Jason. He does truly appreciate the finer things in life…a great meal, a well crafted piece of clothing, a sophisticated cocktail…then it hit me!! 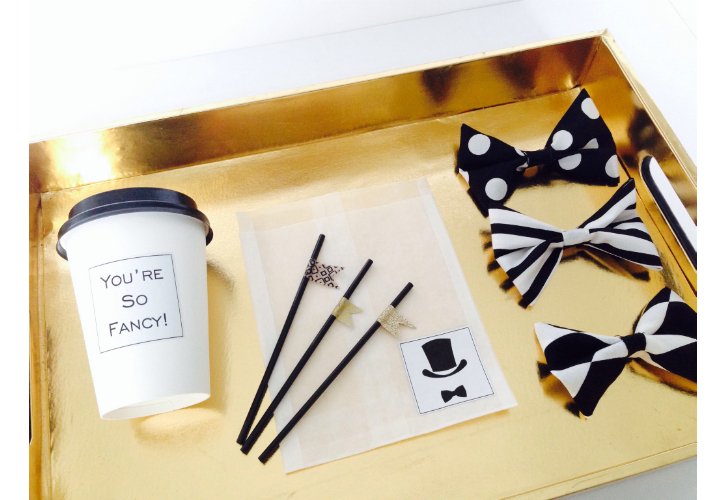 A top hat and bow tie and the saying “You’re So Fancy”. Jason’s totally secure in his manhood, so I knew this would be perfect!! Really, I knew if there was good food, yummy cocktails, hip music and his favorite peeps, he’d have a great time! Becky from Stick People Press created the icons for me and had them made into stickers. 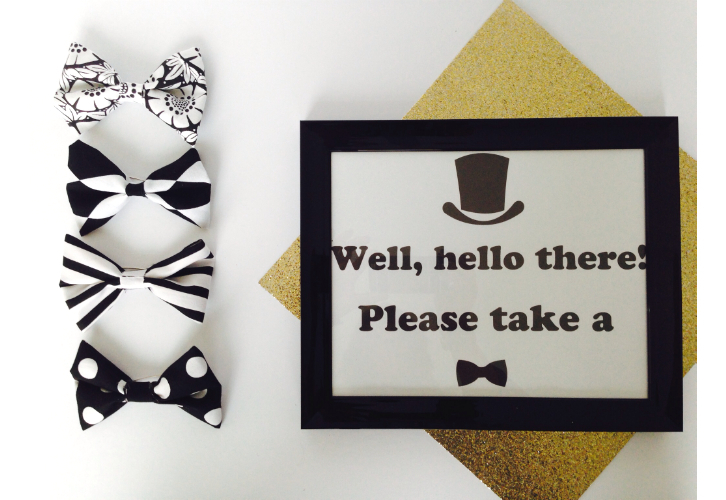 Guests were greeted at the door with this sign and a selection of bow ties to choose from….Berkeley hand-crafted over 60 of them and guests had fun wearing them in creative ways! 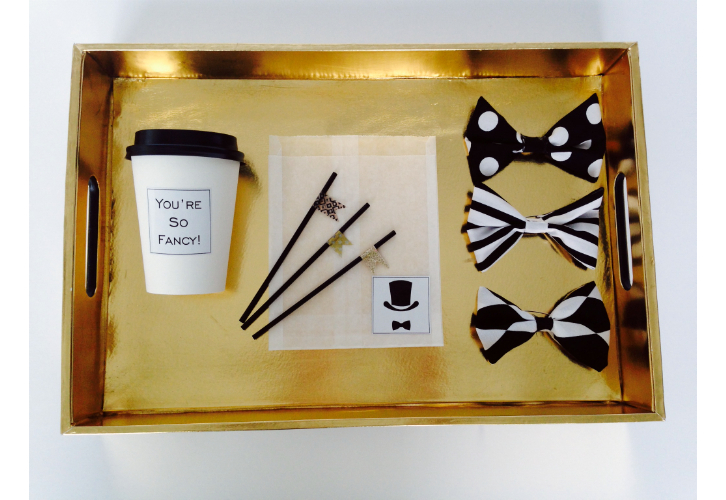 “You’re So Fancy” stickers were added to cups at the cappuccino bar. 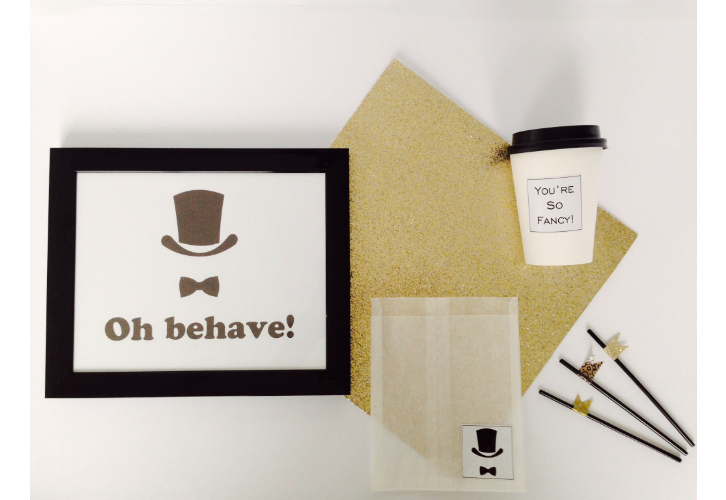 Bags for the candy bar were dressed up with top hat and bow tie stickers. And my girls spent hours making washi tape flags for the straws for the cocktails. The dessert bar was full of Jason’s faves. 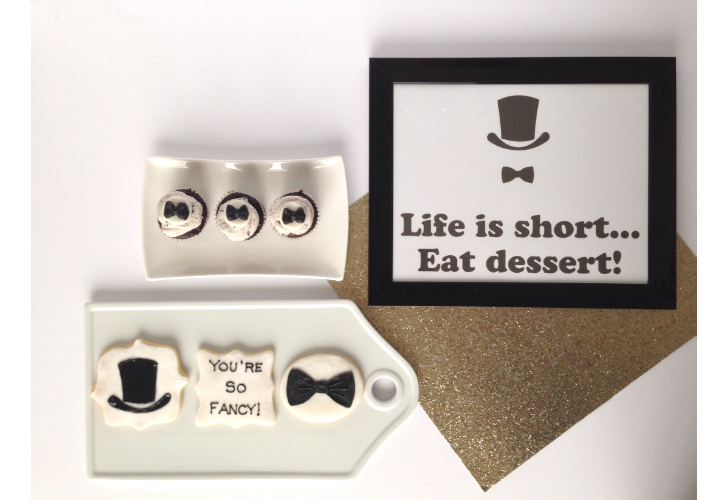 The sugar cookies were little pieces of art…Pam MacGregor’s Cookies always exceed my expectations….and they taste just as good as they look! 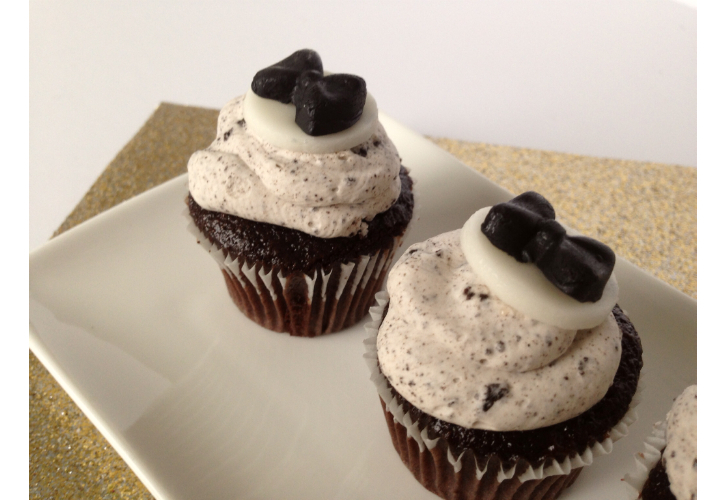 Reddy Made Cakes made cookies n cream mini cupcakes with fondant bow ties! The extra effort really pulls everything together….and looks pretty too….and that makes me happy (start the monkey with cymbals hand clapping now)! Having a clear theme also helps to give direction and helps with decision-making as you are planning, so it’s a very good thing!